Harmonix Blog: DLC Week of 2/07: The Bouncing Souls, Jeff Williams ft. Casey Lee Williams, and Senses Fail! 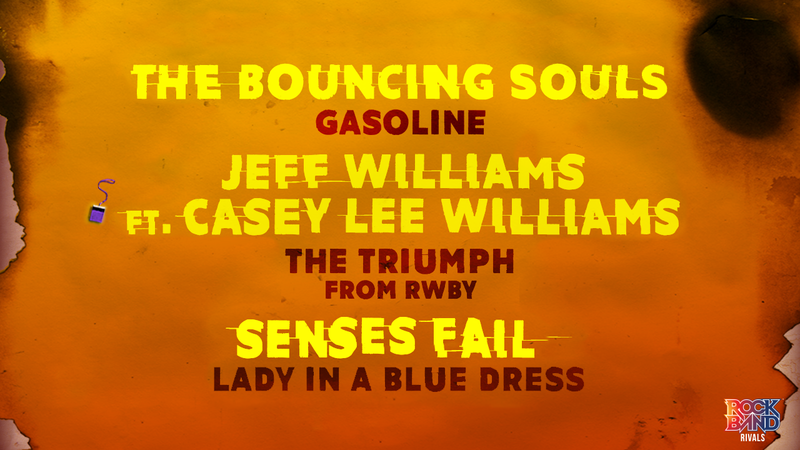 DLC Week of 2/07: The Bouncing Souls, Jeff Williams ft. Casey Lee Williams, and Senses Fail! Tons of variety with songs from three different artists releasing this week. The Bouncing Souls kick things off with the punky “Gasoline”. The opening track on their 2010 album Ghosts on the Boardwalk, “Gasoline” maintained the D.I.Y. spirit the band is well-known for. The New Jersey-based band specializes in fast, light-hearted, and often times humorous material and “Gasoline” is no exception. It’s got all the punk staples which allow for a great Rock Band track. Vocals come with a lot of feeling, so you can really get into it while playing. Power chords fill the guitar chart, keeping you moving and testing your alt-strumming. Drums have great fills, but the real highlight of the chart is the recurring marching roll on the snare. Our third track from RWBY joins the catalog just as Volume 6 of the hit anime wraps up. Fans will instantly recognize Volume 5’s title song “The Triumph”, performed by Jeff Williams ft. Casey Lee Williams. If you’ve played the previous two tracks, you know what to expect. And if you haven’t, what’s wrong with you? “This Will Be the Day” is free for Rivals, no excuses! “The Triumph” comes in with a fast guitar riff and a drumline to match. There’s even a guitar solo in the first 30 seconds, that’s what this song’s like. Not to be left out, there’s even a bass solo that pops up. Casey Lee Williams puts up one of her best vocal performances surrounded by great harmonies, so everyone’s gonna need to step up to do well here. Also new to the Music Store this week is “Lady in a Blue Dress”, a standout track from Senses Fail’s debut album Let It Enfold You. The album had a strong debut, reaching #2 on the Billboard Independent Albums chart and selling over 300,000 copies. 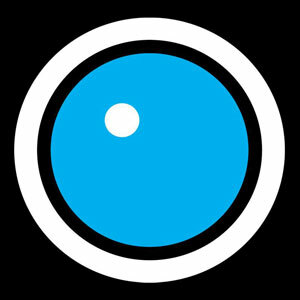 “Lady in a Blue Dress” has gone down as one of the band’s most popular tracks, having been featured on their compilation album Follow Your Bliss: The Best of Senses Fail and remaining an oft-played crowd pleaser. Drums will need to take on everything from hi-hat patterns to rolls while constant kicks pop up in the pre-chorus and chorus. While mostly full of chords, guitar will also play strings of single notes that go back and forth along the colors. The Bouncing Souls - "Gasoline"
Senses Fail - "Lady in a Blue Dress"
VIDEO: Rock Band 4 DLC Week of 2/07: The Bouncing Souls, Jeff Williams ft. Casey Lee Williams, and Senses Fail! * Please note that this week’s DLC tracks will be available for purchase on Thursday, February 7th.